Are you wondering which is the best video player for iPhone? If not then we are here to make it easy for you. After reading this list of iPhone video player apps, you can enjoy watching any videos in a better way on your iPhone. 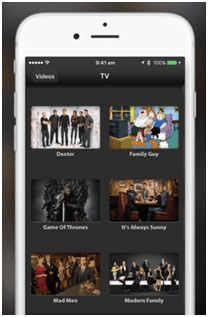 To play media or videos of any format on your iOS device you will need the finest video player. A good video player is that one which has all the features that you need, for example like MX player, VLC player etc. 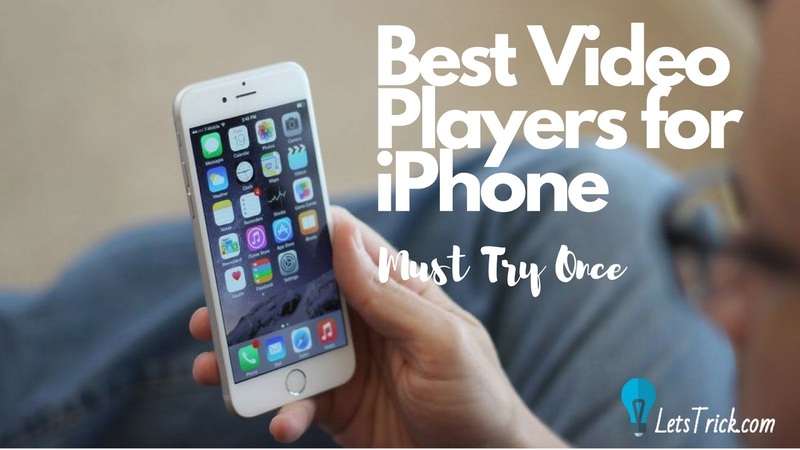 Here we will provide you all the necessary information and the list of best video players for iPhone. These apps work very smoothly and give you the access to play videos in best quality. Not only that it also supports several types of available videos and audio formats. Also, enjoy watching any videos containing subtitle and different language of audio tracks without any issues. iPhone X vs. iPhone 8: Which One to Pick? Oplayer Lite is been placed on the top of the list of the best video player for iPhone. It is an impressive media player that allows your device to play videos of any format. You can simply play any videos without even converting them. The media player supports both the available formats of video and audio tracks. This simply means that you can download any type of video and watch them. And it is perhaps one of the most powerful video players available to use for your iPhone device. It has tons of impressive features like quick USB sync, fast sync of movies on your device. There is also a Wi-Fi upload option and supports to play MMS and RTSP streaming. And also support browsing and play movies online. 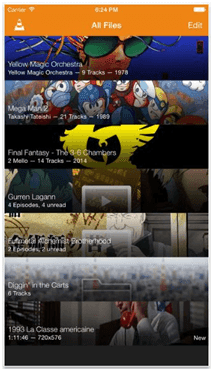 PlayerXtreme is a unique media player for an iOS device. 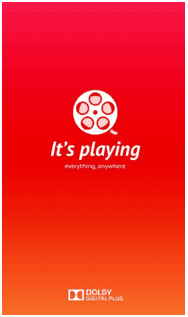 By using this video player app you can watch movies by streaming them online. It is a very compulsory app for any iPhone device and is worth using. Start watching any of your favorite videos either by downloading or live streaming. It supports different types of file formats and can run any type of format. The list of the several types of video file format includes mpg, MPV, WMV, MKV, etc. Available support of video quality is 1080p, 720p, 360p and lost more. The media player for iPhone has lots to offer in its features. They include the library, network and also can play the files available into your email attachments. Also many other options like the fast forward and quick backward controls tools. Set the passcode for security purpose in the player extreme application. Start using the Good player on your iPhone as it let you play video very smoothly without any interruption. 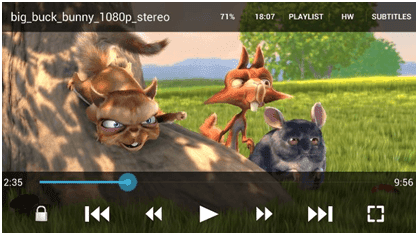 The media player supports different types of video file formats like WMV, HTTP, MP4, etc. Any online video that is available on the internet can be the stream. To play videos or movie just transfer the media files to your iPhone using iTunes. Good Player has an inbuilt web browser. Stream your favorite movies or TV series with the video player at any moment you want. Set the video folders in the video player by setting a strong password. The good player also comes with subtitle encoding supports. You can choose two different screen modes one is full mode and the other fit on screen mode. You May Also Like-Tips for purchasing Mobile Phones through online. RockPlayer2 is a must video player app for your iOS phone. By using the seek bar in the media player you can continue to watch the portion of the video you want. Play or pause, forward, quiet and run the videos smoothly while watching. The video player is designed with retina UI and looks very beautiful. It also offers the user customizable control bar. And want to avoid unwanted access to your private video folders. Then you can simply set a passcode to hide the files and keep it secret. Get It’s Playing for your iPhone to play any types of videos you want to. It supports different video formats and HD quality videos. The most interesting thing about this video player is that it supports file management, playback, network, etc. Also, you can choose the Direct Road and local network media streaming. Also, there is a direct subtitle search and download option available in the media player app. It supports several numbers of audio formats and streams online as much of videos you want. It also comes with the high-performance playback of 1080p. It is designed with easy gestures that also includes. Video Stream app gives you the access to stream any type of video formats. Be it HD quality format version of PC video or any other format, you can play those videos on your iPhone with Video Stream. It is simply not necessary for converting video you can play in any format. It has a beautifully designed interface. And the media player is highly optimized for the newly released iPhone devices. Watch completely high definition videos and the videos format of 4k quality which is great. Play all the available video or audio formats, be it offline or online streaming and with Airplay stream any videos into a bigger screen. Subtitles and Unicode supports are also added for playing each of the videos. You May Also Like-How to Activate iPhone without SIM card? VLC is one of the most popular video players available for several platform devices. It gives your device the permission to play videos of different formats on your iPhone. Play videos or watch movies by using VLC very smoothly like anything else. This video player also gives you the access to perform file synchronization along with Dropbox, OneDrive, and iTunes. VLC also supports online streaming form the DLNA servers and form the internet. It is totally free to download and use as it is open source application. Here, we have included all the necessary details that you have to know about the Best Video player for iPhone. Select any of the media player application that is mentioned above in details information. Start using each of these video players and at the end, you can choose one video player as default. Each of this listed application is rich in its features and give an impressive performance. All of the media players from these list supports several types of videos or audio formats. Experience the HD Definition and other quality of video smoothly without any problem. Hi Hemant, I have tried a couple of these and I must say these are really good video players for iPhone!